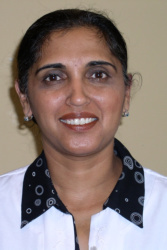 Dr. Saran has been serving the Ottawa area for over 20 years. She graduated from the Université de Montréal in 1995 and opened her rst practice in 1996. Her passion for dentistry and compassion for patients have geared her to provide the latest in technology, including laser gum therapy (LANAP), Healozone, Cerec, Invisalign and traditional orthodontics, as well as snoring & sleep apnea treatment. 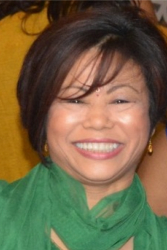 She is pleased to offer her skills in English, French, Punjabi, and Hindi. As a mother of three children, she welcomes patients of all ages, including the younger ones. 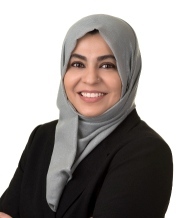 Dr. Awais obtained her Bachelors of Dental Surgery Degree from de Montmorency College of Dentistry (Pakistan) in 1997. She completed her Canadian National Dental Examination Board equivalency process and is also accredited by the US Joint Commission on National Dental Examinations. She practices all aspects of dentistry though takes special interest in surgery. Dr. Awais is a zealous dentist who treats her patients with care, empathy, and ensures their comfort and satisfaction. She offers cosmetic, surgical, and general dental care including Invisalign and conventional orthodontics to improve the health, beauty and smile for her patients of all ages. She regularly participates in various study clubs and continuing education programs to keep herself up-to-date with latest research, modalities and technology. Dr. Awais is a member of the Royal College of Dental Surgeons of Ontario, Ontario Dental Association and the Ottawa Dental Society. She is fluent in English, Urdu, Punjabi and Hindi. Her favorite past time hobbies include gardening, Travelling, Reading and baking with her three brilliant girls. I have always liked people and taking care of them and that is how I became interested in dentistry. I graduated as a dental hygienist in 2002 and I have been working with Dr. Saran and her associates since. I have continued my education and have become a registered restorative hygienist and have completed extensive training in periodontics, orthodontics, sleep apnea and many other areas. I also taught dental hygiene at CNIH for 5 years as a clinical instructor. I love to share my wealth of knowledge and experience with all my patients. I am very pro active in teaching you how to have the best possible health. I may lecture but I do it with a smile and a laugh and you will leave the appointment with a lot of new knowledge and hygiene techniques specific to you! I began my career in dentistry as an assistant where I learned a lot about dental health and how different procedures are completed. The knowledge I gained in my time as an assistant has only helped me excel at the administration side of dentistry. Not only do I understand the steps in the process to complete your recommended treatment plan, but also how to use your insurance to the best of it’s ability so there is minimal cost to you. I value all of my patients and always have time to explain things in more detail and to discuss pros and cons of any situation. I treat my patients like I would a best friend. I love to get to know you in the time we have before the appointment and it is my goal to make sure you leave our office completely satisfied and looking forward to your next visit. Moved to Ottawa in 1993. Was always intrigued by dentistry. In High school I volunteered in the Dental Clinic at CHEO to get a good feel for the profession. I Graduated from Career Canada College in 1996 from the Dental Assisting program. Worked as a CDA for almost 10 years before switching my focus on admin. I enjoy all aspects of dentistry but am most interested in Surgery. Getting to know my patients, and making them feel comfortable all while providing great service is important to me. I am very happy to be part of such a great team here at McArthur Dental. When I am not at work, you can find me spending quality time with my 2 teenage daughters, cooking, camping or traveling. 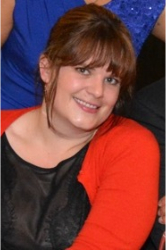 Amy Joined our team in 2016. She moved to Ottawa from Sault Ste. Marie, Ont. after graduating from Trillium College in 2015. 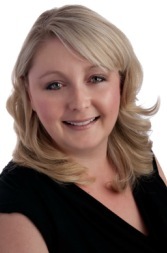 Prior to becoming a Certified Dental Assistant, Amy worked for 10 years in Sault Ste Marie doing dental office sterilization, health and safety, assisting hygienists and front desk administration work. 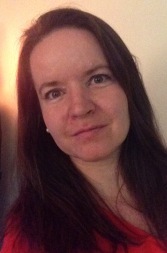 Amy likes to volunteer in her spare time with theater and is an avid runner and cyclist.